Firstly, for information on what iliotibial band syndrome is refer to What is Iliotibial Band Syndrome? There are a number of factors that may increase the distance between the two attachment points of the iliotibial band to bone. In females, the notch of bone labeled the greater trochanter is much more prominent than it is in males. This makes the angle that the ITB has to traverse greater to start with. Also, in pronators (people whose feet roll in), not only are the feet affected but the whole leg will rotate inwards (towards knock knee). This further increases the angle that the ITB has to curve to and increases the distance between the bony attachments at the start and finish of the band by up to 6 mm. As the band cannot stretch, this makes it very ‘tight’ and presses the band against the bone. When I refer to the band as ‘tight’, it should be understood that this doesn’t actually mean that it has become shortened and needs to be stretched. In this case, it can’t be stretched and is in trouble simply because its two attachment points have moved away from each other. 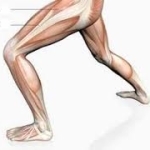 When you think about it this way, it becomes obvious that there is a great stretching force on the ITB. If anything could stretch it, this is exactly what would do it. Going to physical therapy aimed at stretching the ITB is not useful and will often stir iliotibial band syndrome up even more. Between the band and the bone is a small fluid filled sack called a bursa that looks not unlike an oversized jelly-bean. Too much pressure will cause it to become inflamed (called bursitis) and painful. Men are far less likely to be afflicted at all but can have a severe case under the right circumstances.